Last night the CDC issued a Zika related travel advisory for the 2016 Summer Olympics and Paralympic Games (held in August & September) that strongly urges pregnant women not to attend the Olympics, and advises others to exercise caution. This advice differs greatly in content and tone from the messaging we've seen very recently from the World Health Organization. Just a week ago, in Audio: WHO Press Conference On Zika Virus, Microcephaly & GBS - Feb 19th, Dr Bruce Aylward, the WHO's Executive Director for Outbreaks and Health Emergencies, went out of his way to downplay the risks of attending the 2016 Summer Olympics. He pointed out that it will be winter in Rio, and the mosquito population will be `way down'. He also suggested the venue was relatively confined, making it easier for authorities to control the mosquito threat, and by then, acquired community immunity might be great enough to help mitigate the threat. The CDC's take on the risk is considerably less sanguine. First the CDC's statement, then I'll have a bit more. 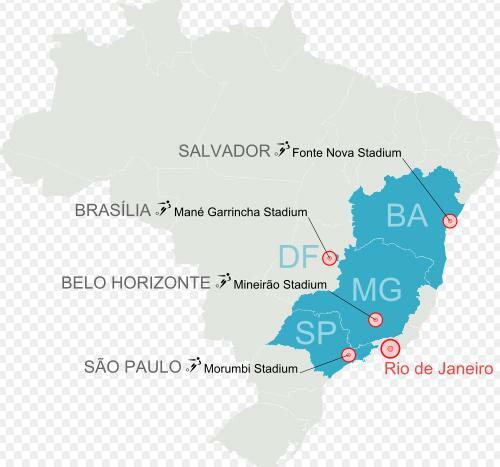 Today, CDC issued advice for people planning travel to the 2016 Summer Olympic Games in Rio de Janeiro, Brazil, from August 5 to August 21, 2016, and to the 2016 Paralympic Games scheduled for September 7 to September 18, 2016. These recommendations provide information to travelers to help them take steps to stay safe and healthy during their trips. CDC’s travel guidance for the Olympics covers a variety of health and safety topics, including information about the Zika virus outbreak currently occurring in Brazil. Because of the Zika outbreak, CDC recommends that pregnant women consider not traveling to the Olympics. If you must go to the Olympics, talk to your doctor healthcare provider first; if you travel, you should strictly follow steps to prevent mosquito bites during your trip. While we won't know until September which one of these positions will turn out to be the most appropriate, the fact that the CDC has taken this stance this far in advance speaks to the level of concern they have over this outbreak. Both agencies have gone out on a limb here. The WHO risks being perceived as bowing to political pressures from member states whose tourist economies are suffering, while the CDC risks being seen as throwing their faltering economies under the bus before all the facts are in. It's not an enviable position to have to make this call, and I'm sure it hasn't been taken lightly by either agency. The paramedic in me says `Primum non nocere' - first do no harm, and based on the potentially devastating impact of having a microcephalic child, the CDC had little choice but to issue a warning that was consistent with its other travel advisories to the region. Admittedly, Zika could still fizzle. We could find out there are other factors (or perhaps, co-factors) responsible for the microcephaly outbreak, or that those numbers are over-inflated. We have far less information than we'd like, and a lot can change in five months. But unlike what we saw with the 2009 H1N1 pandemic virus, the more we learn, the greater this viral threat appears. So unless and until that trend reverses, an abundance of caution on the part of CDC seems warranted.